Australia, 11 May, 2017: One of Australia’s fastest growing tech companies, RedEye, has announced a strategic partnership with U.S. water technologies organisation, WaterStart, following a Nevada Government trade mission to Queensland in late 2016. WaterStart is a non-profit organisation aiming to bring innovative technologies to Nevada’s water utilities to make the state a global water innovation and investment hub. The first projects to commence as a result of the RedEye/WaterStart partnership are with the Southern Nevada Water Authority (SNWA), as well as the Las Vegas Valley Water District (LVVWD), to integrate the RedEyeDMS solution into the organisations’ engineering and operation systems. As part of the partnership, RedEye has opened its North American headquarters in the State of Nevada and relocated two members of the Queensland team to run the SNWA and LVVWD projects, and scale the business. RedEye is already receiving interest from other water and power utilities and plans to grow the Nevada team quickly with a view to create up to eight new jobs in its U.S. operations this year. RedEye’s engineering data management solution – RedEyeDMS – brings a revolutionary Cloud and mobile solution to the U.S. water industry. SNWA and LVVWD staff, engineering firms, and professional engineers will now be able to easily collaborate to find, use, markup, back draft, review, approve and manage “as-built” engineering drawings and related data from anywhere, on any device. RedEye co-founder and CEO, Wayne Gerard, said that the strategy is to be pulled, rather than push into new markets. “This partnership with WaterStart is an exciting step for RedEye. We’re providing a solution to a problem that SNWA and LVVWD have been searching for globally for two and a half years. We look forward to scaling up our business in the U.S. market following their adoption of our platform. “The RedEye platform is the first of its kind, it’s built specifically for large asset owners in industries like water, power, resources, healthcare and government. We’re helping them transform their businesses, taking data out of their network folders and obsolete software and into the Cloud and onto mobile devices. By integrating RedEyeDMS into its operations, SNWA & LVVWD will remove the risk of people working off the wrong drawings, facilitate better collaboration with staff, contractors, partners and clients, reduce the cost and time associated with finding drawings, improve safety, compliance, governance and control, and reduce rework, project delays and project costs; ultimately saving ratepayers’ money,” Gerard continued. Brisbane based RedEye is quickly becoming the leading provider of Cloud and mobile solutions for managing engineering drawings and data in the water and power utilities, cities, state and federal governments, mining and resources companies, hospitals, transport providers and telecommunications networks. Queensland Premier Annastacia Palaszczuk said she congratulated RedEye on a strategic partnership with WaterStart in the US and the immediate focus on Nevada. RedEye co-founder Randall Makin added: “Although the RedEyeDMS solution is universal, we are seeing particularly strong adoption in the water and power industries. There is an incredibly large volume of “as built” data for these assets stuck on rapidly aging legacy systems, these industries have the opportunity to switch to RedEyeDMS and gain major improvements in safety and efficiency while reducing business risks and costs. “RedEyeDMS takes engineering data out of dusty rooms and complicated computer programs and puts it into the Cloud and onto mobile devices and into the hands of workers out in the field. Having access to, and control over your engineering data anywhere at any time minimises the risk of working off the wrong drawing and can improve the safety and reliability of an asset. Removing data duplication and helping our clients obtain a single point of truth makes RedEyeDMS a unique and valuable solution. Our clients are getting a return on investment very quickly, often in just a couple of months,” continued Makin. RedEye is a disruptive tech business, and the first software business to make engineering data truly mobile. 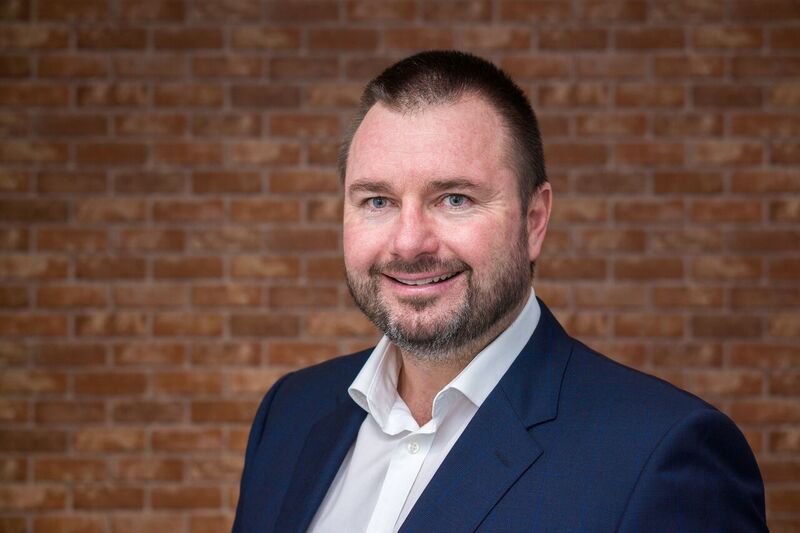 Established in Brisbane in 2012 by Wayne Gerard and Randall Makin, RedEye is one of Australia’s fastest growing tech companies with an expanding global footprint. RedEye’s Cloud-based solutions help asset owners and their service providers improve their productivity and safety, while reducing business risks and costs. With a mission to reinvent the way people work, the company has pioneered a new product category, globally, in Cloud and mobile Engineering Data Management for Asset Owners. RedEye’s solutions are built by the industry, for the industry. In 2016, RedEye launched its work management solution, RedEyeWFM, which is transforming the way large industrial companies work with their technical contractors and maintenance providers. The RedEye team are passionate contributors to the development of the startup community, helping to drive world leading innovation and a diverse workforce culture that disrupts and transforms traditional industries. Visit redeye.co for more information. WaterStart operates in a region of proven first adopters, sitting at the nexus of technology, research and economic development. WaterStart provides channels for innovation for various stakeholders and water resource managers; including: technology companies, management agencies and policy makers and provides services ranging from commercialization funding to business development. As it continues to bring together strategic resources and expertise, its core mission will create quality job growth and help diversify the economy of the region. For more information, visit www.waterstart.com. The Southern Nevada Water Authority is a regional entity that manages water conservation, water quality and water resource issues for Southern Nevada. Its members include: the Las Vegas Valley Water District; the cities of Las Vegas, North Las Vegas, Henderson and Boulder City; the Big Bend Water District (Laughlin); and the Clark County Water Reclamation District.